As the nation’s largest private sector employer, retail supports more than 42 million American jobs throughout our diverse ecosystem. From first starts, second chances, and third acts, retail provides flexibility, upward mobility, and the power to choose one’s path more than any other industry. RILA advocates for forward-thinking workplace policies at both the state and federal level that reflect the preferences and policies on which we know retail employees place a premium. It is imperative that as the workforce changes, so must public policy. Issue: With the emergence of the gig economy, the American workforce is evolving. Technology is empowering individuals, and disrupters like UBER and TaskRabbit are reshaping how employers and employees view work. 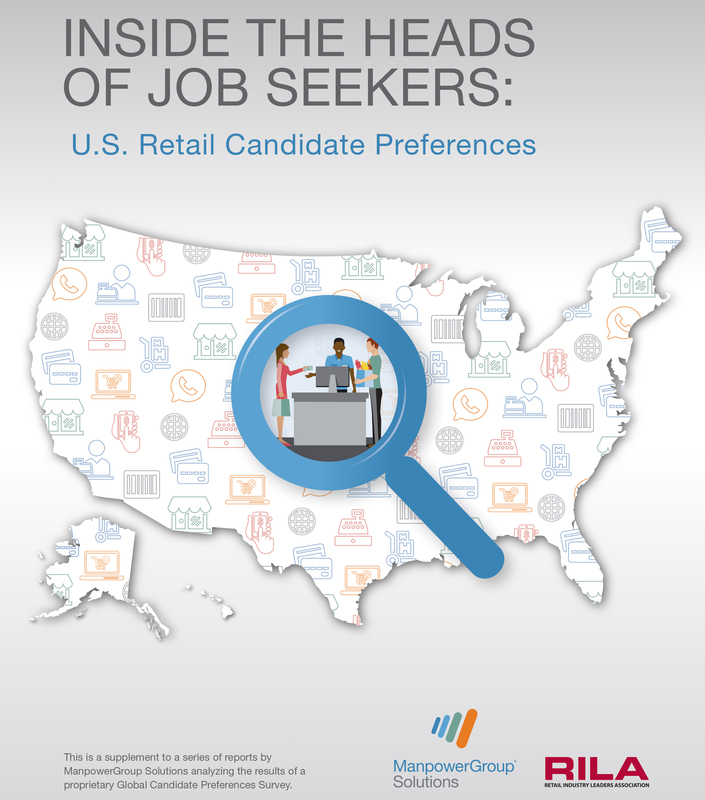 As a result, the expectations of job seekers are changing, as are the opportunities available to retail employees. Research shows that flexible scheduling is the reason why millions of Americans choose to work in retail. From students to seniors, and everyone in between, those seeking part-time employment enjoy the flexibility that retail provides. Flexibility is the key to catering to the wants of a 21st century workforce. Action: Our employment laws must adapt to accommodate the evolving preferences of the modern workforce. RILA encourages policymakers at all levels to promote policies that acknowledge changes occurring throughout the workforce and to support reforms that recognize the different needs of job seekers. Issue: RILA remains committed to ensuring that employer- sponsored health coverage remains a viable option for the industry. RILA members are developing new, innovative approaches to encourage preventative health, improve outcomes, and lower health care costs. Action: RILA promotes a pragmatic approach to reforming our nation’s health care system by working in a bipartisan manner and bringing real world, constructive solutions to the table. RILA urges Congress to enact streamlined, commonsense reforms to burdensome and costly ACA employer reporting requirements. EH&S compliance and government affairs executives work to advance environmental compliance for the retail industry by educating stakeholders, sharing leading practices, and communicating with regulators. Labor & HR executives focus on employment and labor issues affecting retail, such as wage/hour developments, discrimination, labor management matters and unionization issues. Discussions include federal legislative and regulatory action on these and other issues. Contact kelly.kolb@rila.org.